Here we go again. Just three years after the ‘biblical floods’ of 2014 our rivers are running dry and the first media reports are emerging of water restrictions and impending hosepipe bans. This comes as no surprise to those of us who fish our rivers and play close attention to rainfall and water levels. But for some reason it always seems, despite all the sophisticated modelling and forecasts that are now available, to catch our politicians by surprise. Admittedly there are one or two who get it and I’d like to give a particular mention to the Hertfordshire MP Charles Walker MP, my successor as Chair of the All Party Parliamentary Angling Group who has been tabling parliamentary questions on the impending drought since January but with very little response from ministers. We can forget all about ‘April showers bringing forth May flowers’ as this last month is the driest on record in parts of the South East and the UK as a whole has seen just 41% of the average April rainfall. This followed a particularly dry winter with just 70% of average rainfall for England – far less in Essex, Hertfordshire and Kent – leaving groundwater supplies dangerously low before the summer has even begun. Across the Thames Water region where I live we’ve had just 7mm of rain in April – that’s a derisory 15% of the 131-year average for the month and brings the October-April period to 67% of the 131-year average. Other parts of the South East are even worse. Here’s a few highlighted snippets from the Environment Agency’s Dry Weather briefing which should be worrying the hell out ministers. The human and economic impacts of severe drought are vastly more serious than anything delivered by the 2014 floods, which impacted on thousands rather than millions of people with very little in terms of long term environmental damage. The exceptionally low rainfall during March and April has bought an early end to groundwater recharge. Below normal groundwater levels are recorded across Buckinghamshire, Hertfordshire, Bedfordshire, Cambridgeshire and the North Downs in Kent. The Met Office 30 day forecast suggests that we will see mainly dry settled conditions with some warm temperatures developing in May. The situation continues to be monitored closely both nationally and in affected areas. Our area teams covering Thames, Kent & South London, and Herts & North London have activated local Dry Weather Planning Cells. We have ‘ready–prepared’ incident response arrangements should be need to escalate an incident footing later in the year. There remains a risk that the groundwater may not have recovered to a position to avoid implementing drought management actions in late summer. 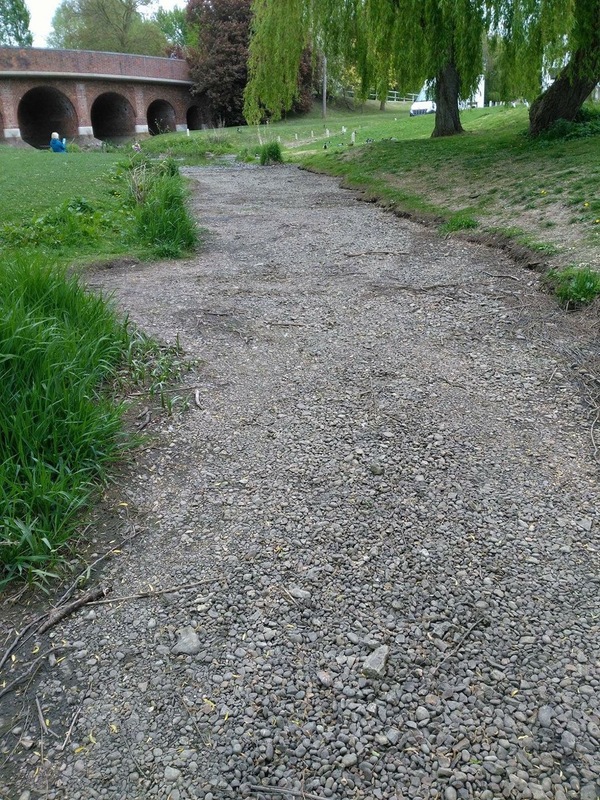 No wonder then that the beautiful little River Colne, where I learned to fish as a youngster, is now dried up in its upper reaches along with the River Ver. A similar situation is threatening a range of streams feeding the Upper Lea catchment and elsewhere. Now some of these rivers have suffered from droughts in the past – that is true – but in April? The very month when our chalk streams, in particular, should be at the most vibrant following a winter’s recharge. It was probably about 15 years ago that I decided to learn a bit more about Climate Change. I was a serving politician at the time and needed to be abreast of current issues but I was also still very much a passionate fisherman. As anglers we are inevitably all keen observers of the weather conditions that often determine what species we will target and whether or not we are likely to have a good days fishing. I bought several books, I devoured many articles by the likes of George Monbiot and Mark Lynas – most of which painted a pretty apocalyptic picture – but I was still lacking that five second killer phrase that puts a complex issue into a digestible nutshell. From my own observations of the waters and conditions that I regularly fish in the UK it’s fair to say that over the last 15 years there has certainly been a lot more ‘weather’ to contend with. The 2007 summer floods here in the Thames Valley and elsewhere in England were unprecedented and saw fish populations moved all over the place. My favourite tench lake in Oxfordshire lost a good proportion of its inhabitants to the River Windrush and then on to the Thames itself. The following year those self-same tench were almost certainly boosting the competition weights on the river at Medley some 20 miles downstream. The local carp population went walk abouts with a particularly large and well known monster relocating from its home in a large gravel pit near Reading and turning up in the Thames at Kingston on the edge of London. 2010 saw a big freeze and two dry winters in 2011 and 2012 saw the upper reaches of my local river Kennet at Marlborough dry up in January, which was absolutely unheard of outside of the summer heatwave of 1976. In this most temperate of climates extreme weather continued to occur. The 2014 floods saw the heaviest rainfalls in parts of the South West since the 18th century leading to the floods that featured so prominently on out TV screens at the time. So how has our great nation risen to the challenge of more ‘weather’? Have we invested in more reservoirs to store water at times of plenty against the inevitable periods of drought which now follow a deluge with the predictability of a London bus? 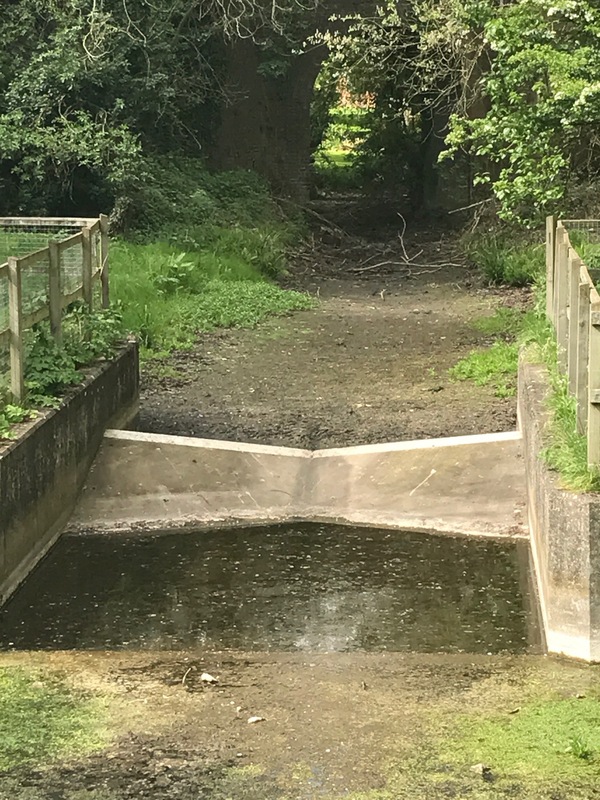 Have we overhauled our outdated water abstraction regime to minimise the environmental damage to our precious rivers and the environments and wildlife that they support? Have we introduced compulsory water metering to reduce wastage and cut demand? 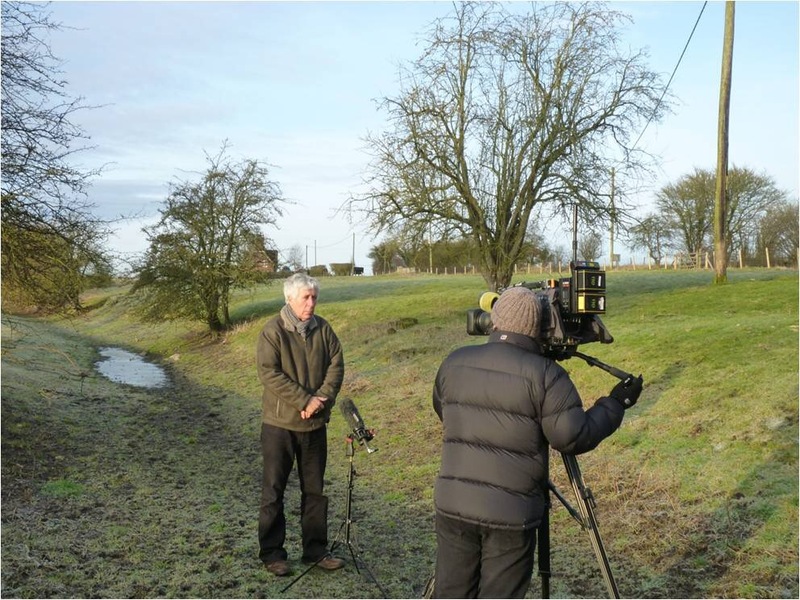 Have we radically reformed damaging farming practices that cause excess water run off depositing millions of tonnes of silt and chemicals into the streams and watercourses? Have we stopped building on the floodplains and outlawed harmful dredging that only exacerbates the risk of downstream flooding? As yet another drought beckons we find ourselves in the middle of another British general election campaign in which all parties are promising a massive increase in house building with absolutely no idea of where the water is going to come from. We have a water regulator that is obsessed with keeping customers’ bills low rather than authorising investment in the reservoirs and long term storage options that are needed to keep the taps working and to prevent our rivers from running dry. Here at the Angling Trust we are working with colleagues in the wildlife sector and supportive MPs to try and get government ministers to see sense and build a system that is a whole lot more resilient to the shocks of Climate Change and the challenges presented by an expanded population requiring ever more water. We recently organised, with WWF-UK, a summit in the House of Commons to examine possible solutions for better land and water management in order to reduce the impact of agriculture and abstraction on rivers and fisheries. With just 1 in 5 rivers in England and Wales classed in good ecological health, and future opportunities and threats arising from the plans to leave the European Union, all participants agreed that it is it is vital that the new government takes leadership on water and land management early in the next Parliament. This saw a cross party group of MPs headed by former Environment Minister Richard Benyon, and backed by farming and wildlife groups, calling for a complete overhaul of the UK’s outdated water abstraction regime. This was promised back in 2011 but has been put on hold once again despite rivers beginning to dry up as politicians tour the streets looking for votes. Over the coming weeks we will be contacted by politicians of all hues seeking our votes so how about asking those politicians to start taking water seriously before it is too late? And how about joining the Angling Trust to help us fight for a future for our rivers and the fish and wildlife they support? Those are solutions to offset the symptoms, why is there no mention of actually tackling the cause here or in this election campaign? Adrian. We are trying to raise these issues hence this blog. On the broader issue of the causes of climate change – that’s for another post! And hereâs proof â the source of the world famous Itchenâ¦. Steve Robertson, the new CEO of Thames Water, told me that they only ever have 90-100 days reserve of water. Up in the north, they are luckier (perhaps because they draw some from the Lake District and Birmingham gets some from Wales) with 400 days reserve. The public should be a lot more water-savvy when it comes to use. Time now to adopt the old saying “If it’s yellow, let it mellow. If it’s brown flush it down.” And don’t shower every day, every three days at most, it won’t kill you. Turn the tap off when washing your teeth. Treat water as if it were gold. Well a sudden 3 million increase in population doesn’t help does it? Brexit isn’t just the preserve of anti immigration , anti EU control but does have an environmental element . We need infrastructure before cheap labour. This happened in 2012 but then it rained in April and hardly stopped for the next two years. MPs forgot the EA forgot and the AT forgot about the problem. Now we have no MPs to fight for us until mid June them a summer recess , so this year is another wasted opportunity. I don’t just moan , I wrote in 2010 2011 2012 to all interested parties . I alert the EA to low river levels when I see them , I have tried to get my local water company to ban car washes that are cash only tax avoidance operations but nothing changes. No one seems to be able to walk half a mile without the need for bottled water , we are a pathetic species. David. 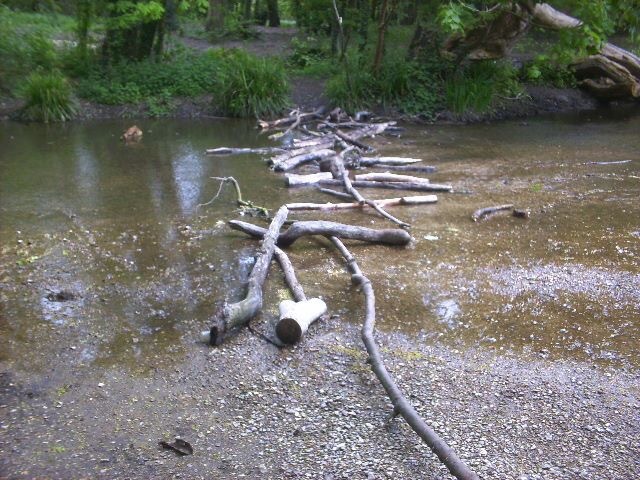 Not fair to say the Angling Trust forgot about water resources as an issue post the deluge. We’ve been lobbying for abstraction reform since it was first promised in the 2011 White paper and I’ve been pressing the case for more reservoirs and less pumping from groundwater sources for a whole lot longer than that ! The most effective way to get the sad sorry state of over abstraction and sewage pollution by the water utilities and the non monitoring of CSO discharges and poor performance of the regulators the Environment Agency and Natural Resources Wales through issues such as poor moral, increasing staff reductions and budget cuts is to evidence and highlight the failings through the imposition of either a Judicial Review and importantly a hearing of the Parliamentary Select Committee on the Environment being convened by MP’s wherein all those who can provide answers from within the Water industry, the regulatory side, conservation and angling bodies can be heard. The evidence obtained by this committee would create the driver for urgent legislative reform and where necessary aportion blame where required and practical reforms be effected in an open and transparent manner for all to see. To deny such actions will be a damning indictment on future generations and leave our wildlife and environment at the mercy of polluters and shareholders forever at large! Apart from the low rainfall, the other main reason for low aquifers is individual overuse of water in our homes. Besides hoping officials in depleted regulators will sort this, we can all help avoid water shortage by seeing our clean drinking water as a precious resource and taking care in its use. After all it is we as individual consumers who are responsible for climate change and the shortages. Over-filling of kettles, for example, requires a complete power station output just to reboil and change the nature of the water in millions of homes. People should try living in a boat or caravan where every effort is made to postpone that moment when the water runs out. This is a very good article Martin, thank you for raising Hesse important points. I am very concerned about the Pang this year, it is already at a summer low level and by August will be bare bones. Another major issue should be mentioned , the over zealous destruction of habitat on lots of river’s up and down the country by the EA . By removing all the trees branches that overhang the water . Taking away sanctuary from much of the wildlife and leaving everything open to predation . Leaving stretches of river’s totally destroyed . All done to prevent future flooding . The EA blaming contractors for the destruction means that they obviously accept that the stretches have been damaged environmentally . With this and all the other failings that you have mentioned I don’t see that anything can get better in future , as you say the investment hasn’t been made by the water companies . And the EA is not fit for purpose and the MP’s are to busy chasing votes . If the government don’t see the bigger picture ,and make some major changes in they way the water industry is run . And force them to invest in new reservoirs and infrastructure. More and more environment disasters will happen in future . Why is desalination not an option? Desalination is an option but an expensive and energy intensive way of meeting public water supply … There is a far more cost-effective way – restoring soil humus or carbon, so that aquifers recharge more fully and floods are significantly reduced. With present state of our chemically farmed and compacted soil, most rain just evaporates or flows out to sea.. The French Govt has a great proposal* for this, to restore just 0.4% soil carbon per Ha of land per annum. Achieving this on all the world’s farmland would account for all the world’s CO2 emissions. But that is only part of it; for every additional 1% extra soil carbon per Ha (2.47 acres) up to 200,000 litres of rain can be stored and infiltrated into the soil. Further, the microbial processes that enable the sequestration of carbon from the atmosphere are endothermic, they cool farmland – unlike chemical agriculture. Additional rain storage can enable irrigation (and lakes for fishing) to vastly increase food production** and create additional meaningful employment. There is at least one farm in Cotswolds already restoring soil carbon @ 1% pa. It is corporate lobbying (and apparently a lot of confusion in the green/organic movement) that has allowed neglect of this. A great book on all this by BBC Archers script writer Graham Harvey – The Carbon Fields. I totally agree with Alan Jackson and Keith Williams posts highlighting what is going on regarding Environment Agency’s ‘Flood Defence’ strategy and the consequential fish and wildlife habitat destruction which I believe is law breaking, as well as the EA’s Permitting and Enforcement Departments in allowing the privatised water and sewage companies to over abstract and drain our rivers dry for commercial business profiteering, and to grossly pollute our rivers without EA monitoring and hardly any enforcement nowadays. Has something gone badly wrong with the EA’s own…’Creating a Better Place’ hype? I think not, and it is all part and parcel of creating a better place for the benefit of our foreign owned privatised water and sewage companies to dump more un- monitored raw sewage, and abstract more and more freshwater to drain our rivers, boreholes and water table dry….all which would help in creating more profit and benefit commercial vested monetary interests in the water and sewage trade. I think Keith Williams call for a ‘Judicial Review’ and having the EA brought before a ‘Parliamentary Select Committee’ would expose the EA outright in who is doing what and the reasons behind the EA’s continuous riverine habitat destruction throughout the UK. Someone needs to get on the case ‘pronto’ before it is too late and there is nothing left to fight for. We , as a country have never learnt to conserve fresh water. As our climate has always, in the past, provided enough, the need has never been really established as being essential to life. Once we had regional water boards who would look after the fresh water needs of their areas but now have reduced authority to act in an environmental capacity. This has been given to the comparatively new EA who do not see this as their major role. So nobody gives this simplistic need the attention it deserves as the pundits have never conceived that running out is real possibility. No new reservoirs have been built in recent times and floods , a time of bounty, have never been captured for future use in dry weather. This type of future planning seems to be well beyond the capacity of the officials responsible. David, The EA have had every opportunity since it was formed and operational in 1996 – it won’t attempt it now as it’s too involved in the blame process to admit its failing !! The Environment Agency exists only to ‘Create a Corporate Place’, to maximize commercial activities and are basically a Public Relations organisation. The main reason we suffer droughts in the UK is the same reason we suffer raised flood risk – there is no effective planning in place to prevent these events. Your comment about the Environment Agency applies when we have a Conservative government. Other parties do not generally turn our regulating agencies into facilitators of crony profiteering. See EA, DEFRA, Natural England, etc. For sure Mike – it was a Conservative government that formed the NRA then EA, in order to enable the Privatisation of the water industry. BUT subsequent governments of other parties did nothing to moderate the inept conduct of this organisation; which is determined by Westminster – so it is not even the fault of the EA or their staff. As stated above, we are not even applying basic regulatory protocols to protect the public interest in a huge range of issues from fishing to flooding to drought …. I disagree. When Labour in control EA was more accessible and not riddled with spin-doctors. We have a situation now where they all try to spin, its impossible to have a sensible conversation. Every approach offering positive input becomes a complaint about difficult communication. Yes, as an ex water engineer and lover of the Thames, I am angry about it. If Labour curs were unacceptable, Tory cuts on top of that must have bewn crippling. I suppose staff numbers can be obtained from annual reports, like to take a look before we get too much into party politics. Of course DEFRA and Natural England has also been cut and had teeth drawn; do you blame Labour for that as well. It is the idiotic policy processes that the EA (and DEFRA, Nat Eng etc) have to implement – determined by a succession of different governments & committees – that seem central to all the problems here. For example, we are losing soil humus/carbon at up to 60 tonnes/Ha/pa in Cotswolds (ref 1. ), the remainder being ever more compacted with ever larger tractors. Just one of many profoundly neglected issues, referred to in Martin’s great blog above. The consequences – ever worsening aquifer recharge & contamination, increasing flood run-off, increased rainfall extremes – all over simplified as ‘Climate Change’ while the real causes are never properly explained or addressed, and the resulting farm toxins ever more degrading fisheries. £Billions being lost annually as the consequence of this, just from arising flood/droughts (ref 2.) – while EA/Defra etc squander even more funds on addressing the consequences, rather than the causes. While the EA pretends otherwise. An important insight into our wider economic shambles. So, where are the meaningful policy proposals for restoring soil humus/carbon ? Conservative, Labour, Lib-Dem, even the Greens, none of these parties has proposed any, nor even seem to understand the consequences here. Yet the French Govt apparently does (ref 3). Mark Lloyd’s excellent recent blog (ref 4) sets the context for all this … to “start thinking really differently about the way that we manage water in this country”. Clue – it starts with land use. Aside from the soil issues, as a former irrigation engineer and early SUDS proponent, I assure we can largely prevent all inland river floods (including sewers with SUDS) and droughts, by storing rainwater on and in farmland for irrigation (and other uses) – while negating the need for toxic chemicals and probably doubling food output. In a manner that can incidentally be replicated all around the world (ref 5 & 6) to curb the migration pressures that seem to concern so many. I’ve tried some research – staff levels were steady for quite a time, until 2014 when Cameron’s people made reduction from 11,250 to 9,600. I get the feeling that more temporary contract staff are employed. As we now know this always costs more. I stand by my statement that EA is so loaded with PR and spin-doctors excusing lack of actions and using up the money that could have been spent on those actions. WHERE HAS ALL OUR UK WATER GONE? Who are the Foreign owned UK privatised Water Companies selling ‘our’ UK water too? As I understand it, a UK privatised foreign owned water company operating in this country can sell ‘our’ UK abstracted river and borehole freshwater to any other private business as it likes… and profit from the sale. The private business that the freshwater is sold too, can then sell it on to any other private business, and so on and on. With our rivers, streams and boreholes now being continuously sucked dry by foreign owned water companies in the UK, IS IT JUST POSSIBLE THAT OUR UK WATER IS BEING SOLD OFF AND ‘EXPORTED’ LEGALLY OR ILLEGALLY BY MEANS OF TRANSPORTATION BY OFFLOADED EMPTY OIL TANKERS/SHIPS FROM UK PORTS TO WHERE IT ENDS UP IN FOREIGN COUNTRIES FOR USE FOR IRRIGATION, INDUSTRIAL AND OTHER PURPOSES; BEHIND OUR BACKS AND OUT OF SIGHT OF OFWAT, THE ENVIRONMENT AGENCY AND OUR GOVERNMENT…AND WITHOUT ANY PUBLIC KNOWLEDGE? Although this might seem a bit far-fetched in the UK, it is what is happening today in other countries in the current fresh water trade/market to where Fresh Water has becoming very scarce and demands a high premium price. See the links attached and have a good read to see what is going on. There was a rumour or ‘whistle blower’ leak from a dock worker in Southampton that this was happening around 10 years ago.. Proving it is hard to do though as private companies can do what they want and pretty much exempt to the ‘Freedom of Information act’ questioning. It needs an investigation and an MP to bring the issue up and ask the question in Parliament to see if it is going on here behind our backs…There again, they could know about it already and is part of a trade deal with the Middle East etc. Oil for Water like but kept quiet. Interesting thoughts there, big business is so ruthless and foreign companies have no concern for our environment, that it wouldn’t surprise me. I believe so much could be done to conserve water in our homes, we are the end line consumers of water and it is also our waste that has to be dealt with – it horrifies me how much chemicals are poured down the sink now without seeing the consequences. Aquatic life is having reproduction problems from chemicals in water, there are micro plastics in toothpaste and soaps – mental! Conservation begins in the home.